With over 100 years experience, ADT is the most recognized name in home security. The company provides the latest in wireless home protection with ADT Pulse. ADT offers remote monitoring via Smartphone apps, video streaming, smoke and fire monitoring, flood monitoring and even medical alerts. Despite receiving an A+ rating from the Better Business Bureau, ADT has garnered thousands of negative reviews on social media and security websites. Poor customer service and aggressive sales tactics are the main complaints. The sea of blue ADT signs on lawns across my neighborhood may explain why there aren’t many break-ins, fires or other household disasters in the area. That’s why I decided to look into ADT to protect my home. After all, the company’s equipment and services are thorough and cutting-edge; and the mere presence of a security warning sign is enough to thwart some, but not all, intruders. A security system provides a needed blanket of protection for homes – and families - of all sizes. A home security system is a necessity for people in neighborhoods with high crime rates, families with lots of valuables, or homeowners who travel a lot and leave the house vacant. If you own a home, townhouse, or condo, you’ll feel safer by purchasing a home monitoring (security) service. A Rutgers University study says alarms are a deterrent to burglaries. An increase in neighborhood security reduced burglaries during a five-year time span, the research found. If the police arrive and find no break-in, you’ll be fined, so choosing an efficient home security company, one with good track record and satisfied customers, is essential. Before committing to a home security company, here are some things to consider. The biggest home security companies have in-house or outsourced monitoring by trained, reliable operators and equipment verified by Underwriter’s Laboratories (UL). Today’s wireless home security systems have sensors placed near doors, windows, and other points in your home. Once an alarm or sensor is triggered, it sends a signal to your home’s control panel, and the monitoring service contacts you (if you’re not at home), the police, or other emergency personnel. ADT’s comprehensive home security system features traditional and live-streaming video surveillance (at extra charge), smoke and fire alarms, flood monitoring, remote and coded locks, and health alert monitoring. ADT also offers security systems for businesses and rentals. If you’re renting a house or apartment, check with the owner before contacting ADT or any security company. You may already be covered by the owner’s security system. ADT is the largest security company in the United States and Canada with 65 million customers. It has one-quarter of the U.S. residential market and four monitoring stations in the U.S. with in-house staff. ADT has been in business since 1874 when it was known as American District Telegraph. ADT is synonymous with the latest in security equipment and technology, with over a dozen security and safety features offered in their three home protection plans. According to hundreds of online reviews, their name is also known for poor customer service and high-pressure sales tactics. In 2013 the FTC filed a complaint against ADT for false advertising when it was revealed the company paid experts to give ADT good reviews. This ZDNet article chronicles how hard it is to get out of an ADT contract. Depending on the type of system you get from ADT, there a wide variety of features you can use. This video, from California Security Systems, demonstrates how to use the mobile app for ADT Pulse. Activate or deactivate your alarms with a Smartphone or tablet from any location. ADT Pulse will notify you of broken sensors and send alerts when your system hasn’t been armed (but should be). Are you the forgetful type when it comes to changing batteries? Your alarm has a back-up battery that lasts for a few hours, and you’ll be notified when that runs low. 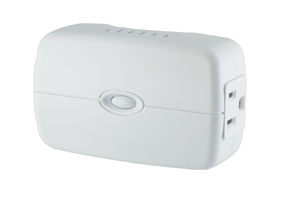 Place motion sensors in hallways and near doors and windows to detect unwanted intruders. When motion is detected, the alarm is triggered, and ADT’s monitoring center will contact emergency services. Press the fire or alarm button on the security panel touchpad and ADT dispatch will contact emergency services. With ADT Pulse, you can check in to make sure your home is safe using the app on your cell phone. This is a life-saver when you’re away unexpectedly and can’t get anyone to housesit, or when you have a sick or elderly family member at home. Store clips to review later. You’ll need to have domed security cameras, wireless security camera, wireless day/night camera with night vison, and digital video recorder to keep track of happenings in your home. All equipment must be paid for upfront. 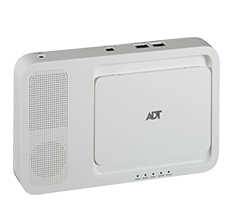 Included with ADT Pulse wireless plans, a smoke and fire sensor can be set to react the way you want – it can unlock doors or shut off AC to slow circulation of smoke when an alarm is triggered. 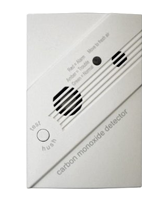 Unlike carbon monoxide detectors you buy online, ADT’s detector contact the monitoring center when triggered. 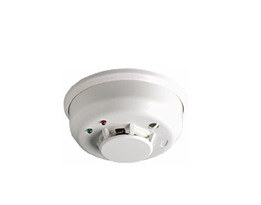 You can buy a second alarm, an indoor sounder to alert you know when the alarm has been activated. The Z-Wave Garage Door Opener and Controller closes and opens your garage door remotely and alerts you if it’s open too long. Many of the smaller security companies don’t include separate garage door controls. The Ring™ Video Doorbell allows you to act as if you’re home and speak to the visitors or remain silent. August Smart Lock enables you to lock and unlock your doors from a mobile app, so you can let housekeepers and repair techs (or you kids when they’ve forgotten their keys). The Kwikset SmartCode Home Connect Z-Wave Deadbolt has an illuminated keypad and 128-bit wireless encryption for entering individual entry codes. Set temperature from the thermostat or mobile devices. This comes in handy when you’re on vacation – keep heat or AC off when you’re away, and turn it on just before your return home. The Nest Learning Thermostat (worth $249 ) is included with ADT Pulse. Schedule lights to turn on and off remotely, or set them to turn on when a sensor detects motion. 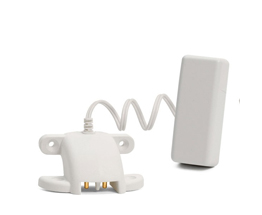 Use with the Z-Wave network – and an in-wall switch, dimmer switch or on/off lamp appliance module. 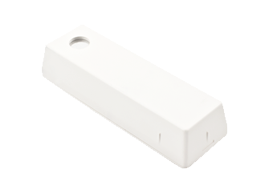 Water sensor alarms are triggered when water rises in your basement, garage or wherever sensors are placed. ADT monitoring will contact you, ad alert authorities if necessary. Backed by ADT’s 24/7 monitoring, its medical alert system is comparable to Medical Guardian and other medical alert system specialists. It’s separate from home security plans and requires one-time fees for accessories. The Medical Alert Basic plan starts at $27.99 per month, with a choice of wristband or pendant. All plans come with a 36-month contract with an early termination fee, and all monitoring is done in-house in six monitoring centers in the U.S. Unlike Frontpoint, Scout, LinkInteractive and most other home security companies, you don’t have the choice to install sensors and control panels yourself, and there is an installation fee for the technician to do it. Encounters with rude customer service reps and pushy salespeople make up the bulk of bad reviews. Some locations have glowing reviews, but there are few “in-between” customer service experiences. You may get lucky and live in one of the areas with efficient and polite local reps.
ADT offers choices for every conceivable safety and security feature. They offer Z-Wave wireless technology with ADT Pulse. You can pick and choose what equipment you want (even models not sold by ADT), but call and make sure it is compatible with ADT’s system. It’s hard to gauge the final accost of your plan from the website, which lists only the basic monthly charge. ADT pulse advertised as $49. There’s a 36-month monitoring contract with an extended warranty and early termination fees. Even if the product works fine, the contract and fees make it problematic. Given ADT’s lack of transparency re price, it might be a good idea to research reviews from previous customers in your local area before signing a three-year contract. ADT offers the latest technology with all the bells and whistles for safety beyond burglary and fire protection. The abundance of features may far outweigh the chance of encountering rude customer service reps for some people. ADT attracts more customers than other home security companies, but they also have a high attrition rate (customer cancellations). Here are a few links to positive and negative reviews on the Internet and social media. Yelp reviews for their Brisbane, CA dealer, contains a handful of 3, 4 and 5-star reviews while most of the reviews are one star or two stars. “I canceled my account giving a 30-day notice, but was still charge for half a month even though I was told my balance was zero at the time”, writes Jeanie R. of San Francisco. If ADT doesn’t appeal to you, consider the following home security providers. 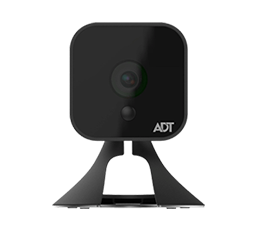 They offer burglary protection, mobile apps, remote control access, and most of the features ADT provides, but with better customer service, pricing, or other qualities ADT lacks. They offer burglary and fire protection, home automation, remote video, light and thermostat control, carbon monoxide monitoring, plus Life Safety (medical emergency monitoring) on all plans. Crash and Smash Protection ensures the monitoring center will be notified, even if the control panel is damaged. DIY installation is available, and there’s a 30 day, no-risk guarantee and a 12-month contract option. Visit Frontpoint to learn more. If you want an inexpensive, completely DIY security system, consider Link Interactive from Costco. Their basic Fire and Security package is $24.99 a month with a 30-day money-back guarantee. There’s also a SmartComplete package with remote and Smartphone control, two-way voice, video and touch screen console for $42.99 month. Link Interactive has a low complaint record with the Better Business Bureau and an A+ rating. Like ADT, it has a three-year contract, but there’s no activation or installation fee. You must pay for equipment upfront. Prefer to go with another proven name in home security? Protect America, founded in 1992, has protected over 500,000 families with their alarm, home automation, and life safety solutions. They offer five security packages, from Copper (three door window sensors and one motion detector, $19.99 month) to Platinum (14 door/window sensors and one motion detector, $42.99 a month). The average cost for a three-year Protect America contract is $720, compared to $1143 for ADT. Protect America has a 4 ½ star rating on Consumer Affairs.com based on 605 ratings and 2191 reviews. The company isn’t BBB accredited. ADT Home Security offers you the cream of the crop as far as technology and equipment are concerned. The company has over a century of experience behind it, and protects over 6 million homes in the U.S. The customer service may be excellent or lacking, depending on the authorized dealer in your area, and you must contact a rep for a free quote; there’s no “one-size fits all” total price, including installation and fees. Check out ADT’s main site for new customer specials and more details.